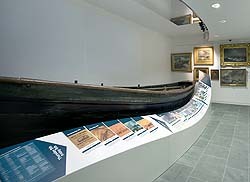 The museum had requested advice on how to protect the coble (a type of open fishing boat) which Grace had used, while some repairs to the ceiling of the building were taking place. 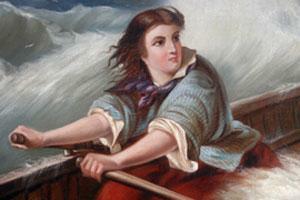 Moving the boat was not feasible due to lack of space and equipment required to lift the 21ft wooden vessel. Having looked at the coble I decided the best course of action was to build a box around the boat which would protect it from dust and any ingress of moisture which may result from the works to the roof of the museum. I drew a rough sketch which was passed to a local carpenter Jim Donaldson. 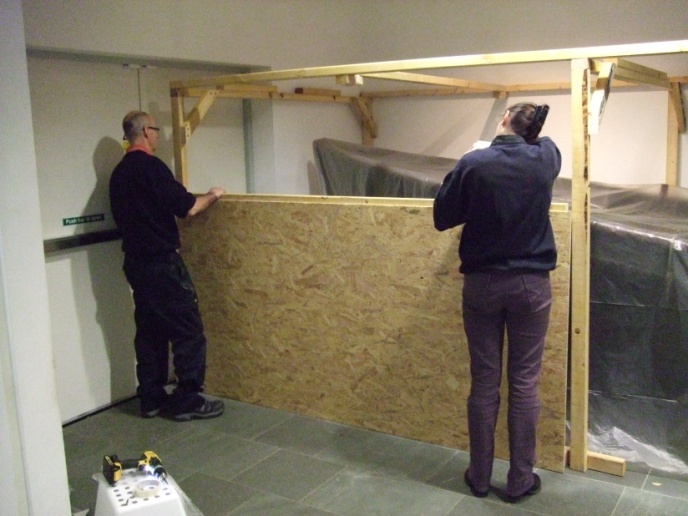 He built the box off site, and then with the museum staff we spent a day putting the box together around the boat. My role was to protect the coble, so I stood and watched everyone else working (my favorite pastime) and ensured that the boat was never at risk. 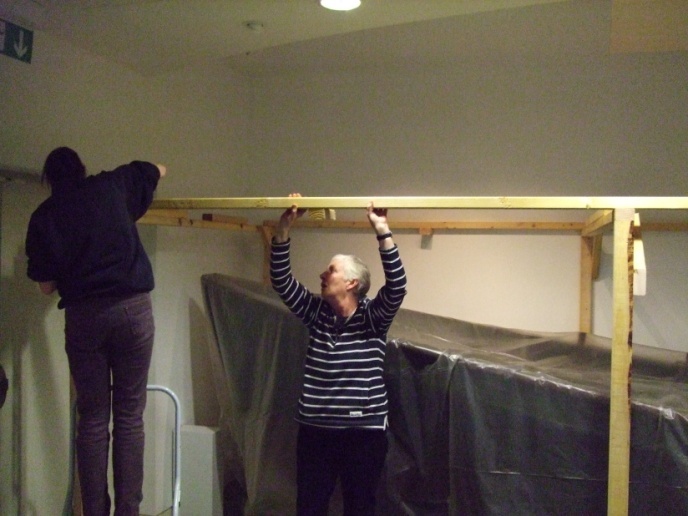 First we covered the boat in plastic sheeting, to act as an extra buffer from rapid changes in relative humidity, which could cause the wood to crack, and to protect the boat from dust. Next we constructed the frame. Next we fitted the roof. The sheets fit along the cross members to inhibit dust getting into the box. The box is much higher than the coble to prevent workmen from using it as a place to store tools. 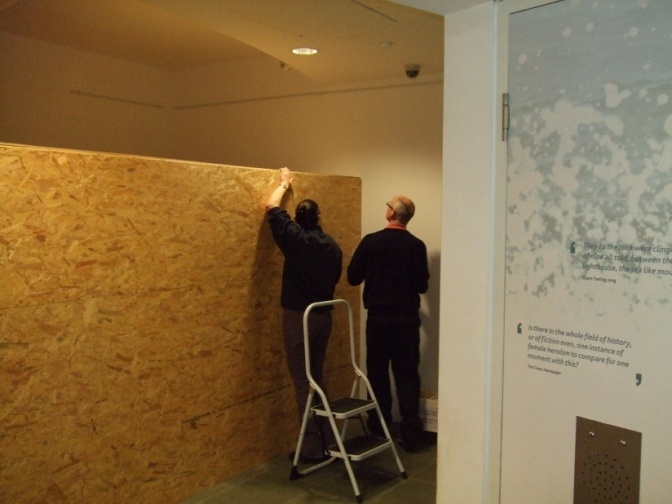 Repairs in the roof space of the museum can now begin without risk to the boat. The box is screwed together and when no longer needed, it can be flat packed for storage, and re-used should the need arise again. The Conservation Advisory Network is delivered and managed through a partnership between The Bowes Museum and Tyne & Wear Archives & Museums, and is funded through Arts Council England’s Museum Development Program and Major Partner Museum funding.